You are here: Home » How To Guides » Old A1WebStats System Guides » How to get insights into what led people to complete your enquiry/contact forms. How to get insights into what led people to complete your enquiry/contact forms. If people use your website enquiry/contact forms to contact you then it’s useful to gain insights into what led to the enquiry. What brought the enquirer to the website (e.g. PPC, organic click, email shot)? Had they been to the website before (i.e. were there previous visits that contributed towards the enquiry being gained?). What parts of the website did they look at (useful when responding to the enquiry, so that you see exactly what they were looking at beforehand)? You can find out all this information either by manually creating a report or having an email automatically sent to you each day, showing you details related to the enquiry/contact forms completed during the previous day. If you haven’t read our How to link your incoming enquiries back to their marketing sources guide then you may like to refer to that IF you don’t already have a system that keeps a record of all enquiries you receive, which would include enquiry/contact forms (plus phone and email enquiries). When an enquiry form is completed, the person that deals with that form would ideally be the person who adds the information into your enquiries log. Enquiry form enquiries are easy to link back to sources IF your website enquiry form brings up a ‘thanks’ type url after someone completes the form. 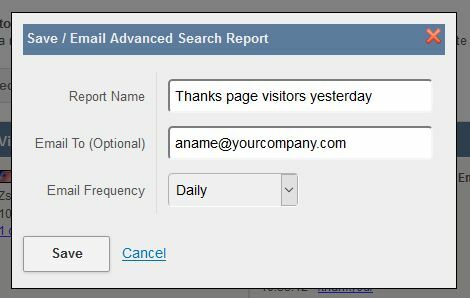 If your enquiry form brings up a thanks message but not a separate url, then it’s recommended that you change this in order to gain full insights into those people who used the enquiry form. From the Dashboard select a date range (using the date picker tool on the top right), within which you last received an enquiry via your website enquiry form (typically, a week or two is about right). Scroll to the ‘Visited Page Options’ section of the page (near the bottom). 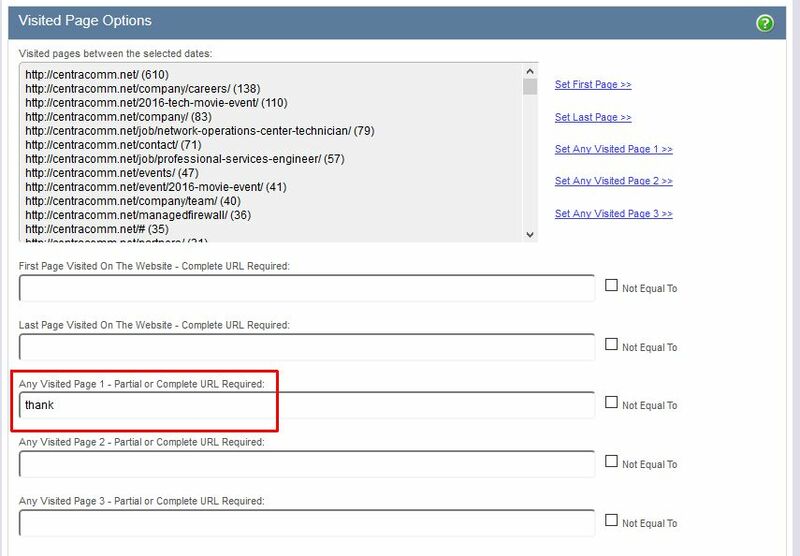 Click into the ‘Any Visited Page 1’ box and enter part of the url that comes up after someone fills in your enquiry form. In the example below we have entered ‘thank’ as being part of the url that is triggered when someone completes the enquiry form. Now click on the ‘Apply Filter(s)’ button towards the bottom of the page. 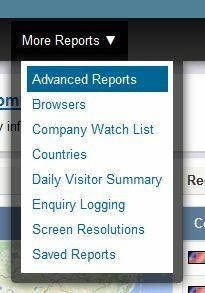 To create a daily email (showing you those who filled in your enquiry form the day before), click on the ‘Save/Schedule Report’ link towards the top of your data. Create a name for the report (that’s meaningful). For example ‘Thanks page visitors yesterday’. This is the name of the report that will appear in the email inbox of the recipient each time it runs. Type in the email frequency (daily is recommended). 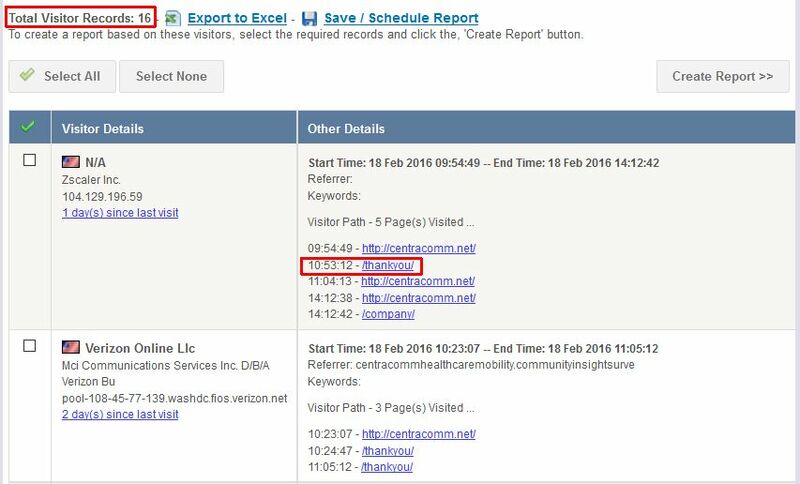 The report will run each day if the parameters that you created are matched. It will then email the report to the recipients. If the parameters aren’t matched (i.e. 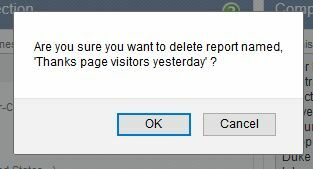 no-one fills in your enquiry form) then the report doesn’t run. 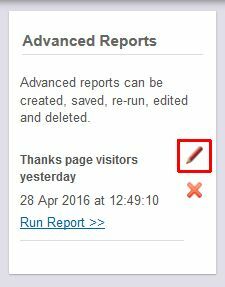 If you want to edit the report at any time, click on the pencil icon. This only lets you edit the name, recipients, and frequency. 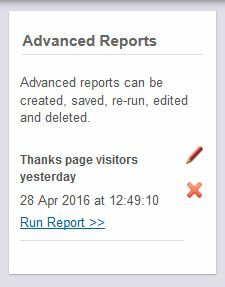 If you want to edit parameters you will need to create a new report. Whether they had been to the website before (i.e. whether there were previous visits that contributed towards the enquiry being gained). What parts of the website they looked at (useful when responding to the enquiry, so that you see exactly what they were looking at beforehand). Then you can take that information and add it to your enquiries log alongside the information that would have been recorded when the enquiry form was initially submitted. How to link your incoming enquiries back to their marketing sources.